Training with kettlebells encourages you to focus on coordination while improving your strength and fitness. 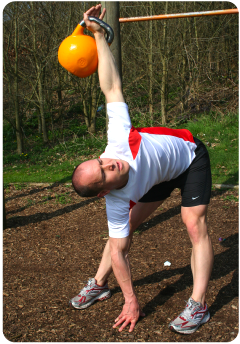 I can offer kettlebell training as a regular part of your coaching. Alternatively, you can take advantage of a six-week programme to learn how to use kettlebells safely so that you can use these powerful tools outside our sessions.